Joe Mathews, who happily identifies himself as an avid outdoorsman, has always been healthy and athletic. He was a competitive swimmer in high school. 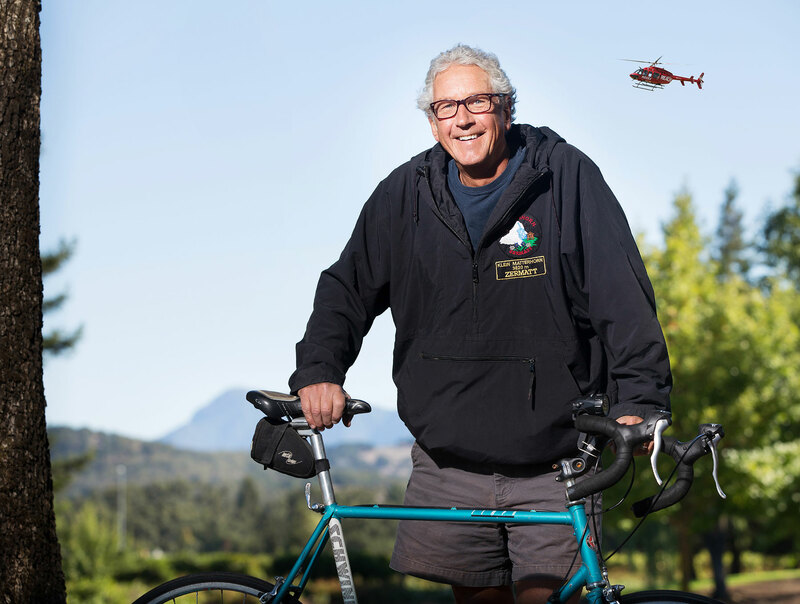 He is an experienced backpacker and Alpine skier who spent 10 years as a ski patroller in the Sierras. But now, Joe is looking forward to his upcoming birthday. Why so special? Because it almost didn’t happen. As Joe prepared for an evening bike ride last April, his wife Donna called to say she had something to tell him. She was only 10 minutes away, so he waited. Following their conversation, Joe began to experience abdominal pain. Severe abdominal pain. He knew that something was very wrong, so Donna got him to the ER as quickly as possible. There, Joe advocated assertively for himself—including walking straight through to the back and putting himself on a gurney. He knew he needed attention NOW. I want to thank each and every person that had anything to do with helping to save my life that day. Top: Joe is happy to meet with REACH crew members Julie Beach (L) and Grey Gardner (R). Above: Joe Mathews appreciates the chance to ride again. 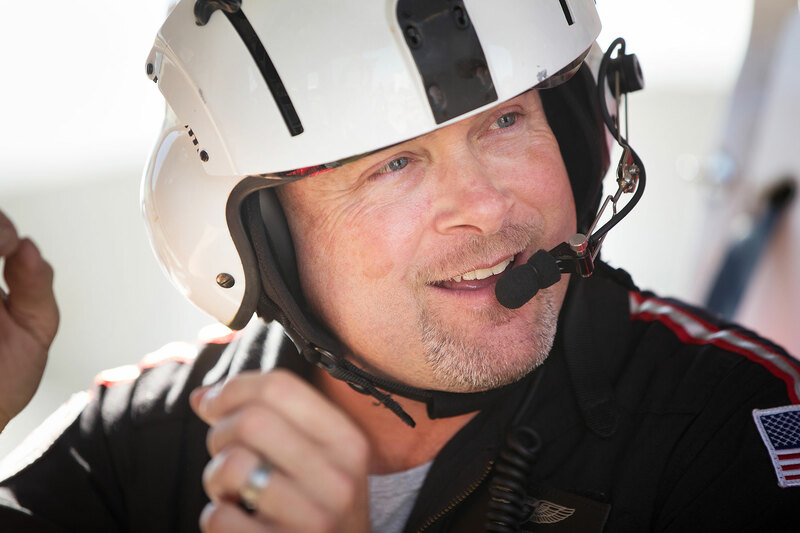 Flight Nurse Brian Warner was on hand during Joe’s fateful flight to UC Davis Medical Center.